The region is also known for the hospitality of its Afro-Colombian population – a community that historically has suffered from neglect and discrimination. Now, however, the Nuquí community is working hard to preserve the region’s beauty while also sparking economic opportunities through eco-tourism. One of the leaders of this movement is Josefina Klinger. 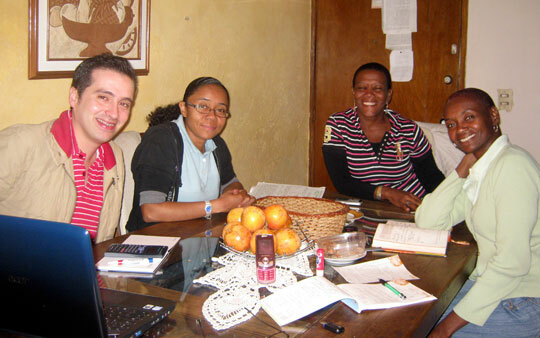 In 2006, Josefina and some of her friends and neighbors in the Afro-Colombian community created a partnership of small tourism service providers called Mano Cambiada. With the help of TechnoServe’s South American business plan competition, known as Idea Tu Empresa, Mano Cambiada has launched as a formal business and is on track for expansion. Josefina Klinger (right) and her business partner, Angelica Valencia(middle-right). 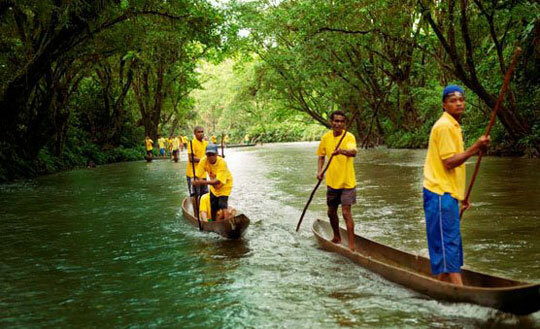 Mano Cambiada provides eco-tourism services with educational components. Since 2006, the group has partnered with a number of outside organizations, including the Colombian government, the University of the Andes and several nonprofits. But Josefina and her business partner, Angelica Valencia, recognized that Mano Cambiada needed a more structured framework for conducting business. They had an extensive portfolio of tourism options but no formal processes for marketing their offerings, tracking their revenues or performing other vital business functions. Enter TechnoServe and its proven business plan competition model. Through 35 competitions across 14 countries, TechnoServe has helped launch or expand hundreds of businesses. The organization enlists expert judges to evaluate business plans and choose the most promising entrepreneurs, who can receive seed funding and support from experienced business advisors. Many of the entrepreneurs are like Josefina and Angelica; they have an operating enterprise that needs a little funding and guidance to turn it into a formal business. Once these entrepreneurs gain new business skills, their enterprises become a key source of growth and income for their communities. Josefina and Angelica entered Mano Cambiada into Idea Tu Empresa (which spans six South American countries and is sponsored by the Inter-American Development Bank’s Multilateral Investment Fund and J.P. Morgan) in 2009. They won $9,500 in seed money, which allowed the business to implement a more efficient and automated accounting system. With the help of TechnoServe’s business advisors, Mano Cambiada also introduced forward-looking elements such as management manuals and operational planning strategies. Finally, the organization was able to create new market connections that dramatically increased their revenues and expanded the breadth of their services. These improvements have benefited the entire Nuquí community. Mano Cambiada’s programs focus on building relationships between visitors and locals and celebrating the region’s culture. As Mano Cambiada grows, the surrounding villages enjoy new economic opportunities from the increase in tourism. The business has either employed or indirectly benefited more than 70 people in the community, who have worked as tour guides, hosted visitors in their homes or sold native goods.